Lucky enough to be raising a bouncing baby boy? Hooray! There are plenty of reasons to rejoice in your mini-me. Here are 10 reasons why having that little guy rocks. Sure, baby girls' clothes might be cuter, but boys' togs are simpler and fewer in number, which makes a new mama's life much easier. This simplicity comes with a hidden bonus: you won't spend nearly as much money dressing your little guy as you would a girl. Little boys tend to be very physical and very high energy. It's pure pleasure (and occasionally a little nervewracking) to watch as they discover the world. Born bald? No matter, he's a boy! And when his hair comes in, it's likely to be low maintenance. You might even be able to cut it yourself at home. Beats fighting tangles and struggling with braids! Call it the Oedipus complex if you must, but no one can deny that baby boys have an extra-special love for their moms. Enjoy that unconditional adoration while it lasts, mamas! Sure you're his mom, but he's more likely to want to marry someone like you than actually be you. With a girl, you're required to show her how to be a woman, for better or worse; with a boy, there's none of that gender role model pressure. Bud, little dude, stinker, monkey... what do you call your boy? 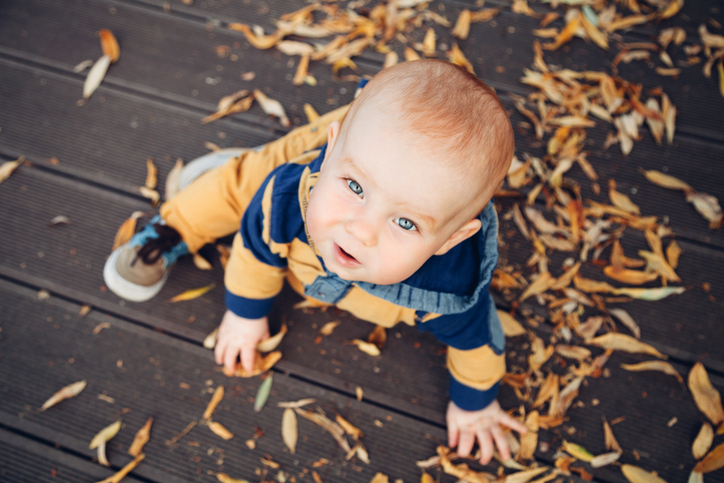 Baby nicknames tend to reflect some quirk or individuality your little guy has shown that makes you smile. They're such a sweet way to express affection for your little gent! His mom has told you some stories, but the best glimpse into how your husband or partner was as a child is through your little guy. Maybe you can see the resemblance in the photos, or your partner loves to go toy shopping and bring home classics that he loved as a kid. Having a little boy around is sure to bring out the kid in your guy, right down to the toy airplane noises and sandcastle-building contests. Growing up girl, you likely had more Barbies than blocks, or perhaps you were a true tomboy who loved getting dirty and playing guns. Whatever the case, your little guy probably loves trains, sticks, balls, and other traditionally "boy" toys. Here's your chance to dial into the world of rough and tumble play, whether you missed out on it in your childhood or just miss your childhood! Just ask the mother of a girl, it's pretty easy to get sick of pink everything. But you never hear anyone complain about too much blue (or green, brown, or the other traditionally masculine colors). Even the most ardent fans of women fear puberty and the accompanying hormonal mood swings of teenage girls. As mom to a boy, you won't be immune to trying teenage times, of course, but at least you'll never have to worry about being on the same cycle (read: twice the hormonal madness! ).